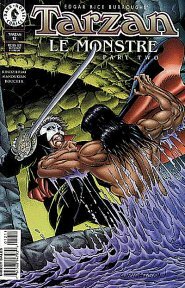 For the most part the short run series were not published while the long run series was being distributed. 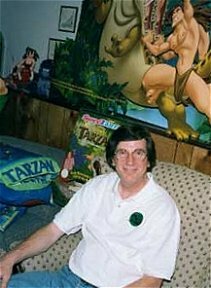 There was one exception. 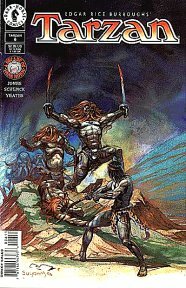 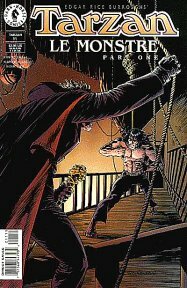 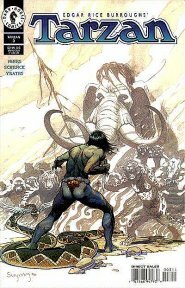 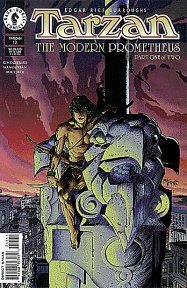 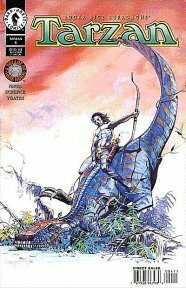 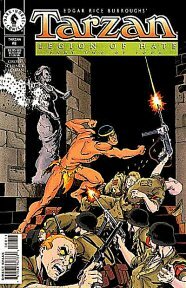 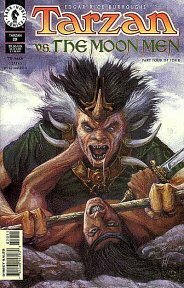 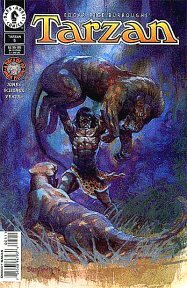 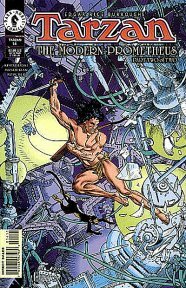 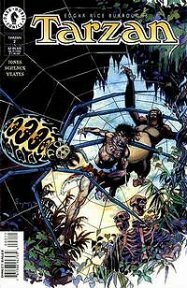 The tenth issue, April 2, 1997, of the long run series (the final part of Edgar Rice Burroughs' Tarzan: Legion of Hate) was published in the same month, April 11, 1997, as the first part The Return of Edgar Rice Burroughs' Tarzan. 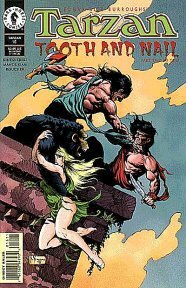 Like the short run series the artwork (with a few exceptions) was not to the liking of the die-hard Tarzan fans. 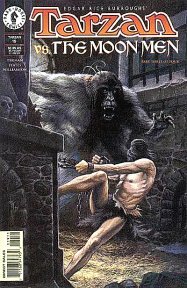 There is an interesting side note about the cover illustration on issue eleven, Edgar Rice Burroughs' Tarzan: Le Monstre, by Bernie Wrightson. 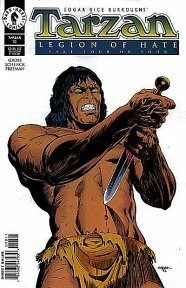 I met Bernie at a comic convention shortly after this issue appeared and asked him to sign it. 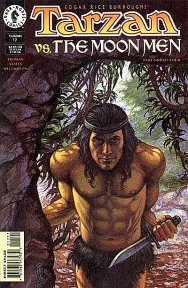 He took one look at the cover and said, "That's not my Tarzan!" 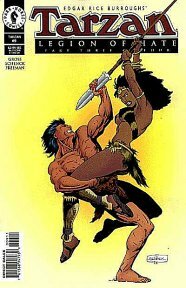 Apparently someone at Dark Horse replaced his Tarzan with another artist's version. 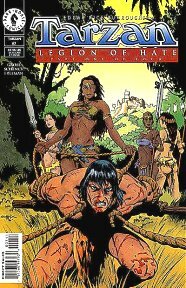 ERB-APAians should take note that one of our own received credit in this long run series. 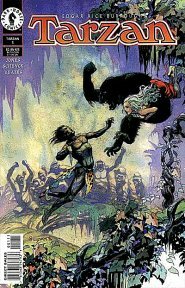 Under "Special Thanks" in issue number 17, December 3, 1997, Edgar Rice Burroughs' Tarzan vs The Moon Men, Part 1, Alan Hanson is listed with Sandra Galfas and Danton Burroughs. 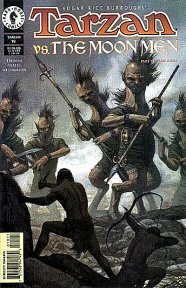 Chapter 1: "Friend or Foe?" 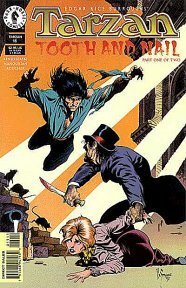 Chapter 2: "Flesh and Mud"
Chapter 3: "Today Your Love, Tomorrow the World"
Chapter 4: "2 Little Hitlers"
Chapter 2: "Fang and Claw"